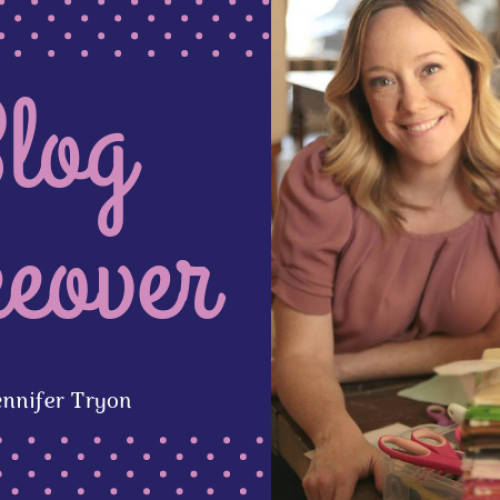 It’s Jennifer Tryon here with my weekly Crafter’s Companion Blog takeover! Be sure to check back every Wednesday for a special sewing blog post from yours truly. I’ll be making sacks full of exciting projects including, clutch bags, bunting and even a Gemini cover! I can’t wait to get started. This week, we’re getting Halloween ready with some felted pumpkin flowers! Perfect for accessorising the home this Fall! 3. Die cut your desired flowers from felt. Then die cut yout leaves from felt and glitter fabric. 4. Arrange as desired and hot glue on to pumpkin.